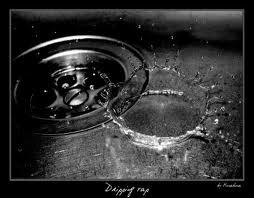 Drip Marketing is the buzz word for a kind of marketing activity that keeps a product or company top of mind. 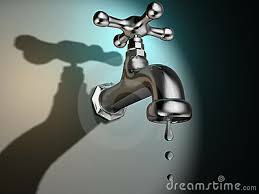 Like a dripping faucet, once in a while, whether daily, weekly or monthly, a communication is sent. The recipient may or may not act on it but for a split second before deleting it, scrolling on or pitching it in the trash, someone sees all or part of it – maybe a logo, maybe an offer, maybe a call to action. But they usually do not act. It’s a way to stay in touch, to remind someone that your company or product still exists. It can include email marketing campaigns (which is what most people think it is) or it can include direct mail, public relations, advertising, social media, direct emails. It’s multi-channel. Maybe a billboard, maybe a newsletter. I consider it the lazy man’s cheap marketing technique. But it works. Not at snaring customers and getting prospects converted into customers but it keeps the message, the product or company top of mind. A major US retailer sends me at least one email daily. A special offer, a new item, something they think I would be interested in. Mostly I scroll by, ignoring the email. If I am not terribly busy I might open it and take a look and maybe even purchase something. Every day I am reminded that I am their customer and that I love many of their products. Another case study: An organization I am involved in is hosting an event and wants to ensure great attendance. For the last two weeks I have seen daily reminders, communication about the event dripping into my brain. They have sent mass emails, a first class snail mailed invitation with RSVP card, LinkedIn discussions, Facebook event notifications, Facebook posts from the organization and from many others who are attending the event, an announcement in their printed newsletter and a phone call. After two weeks of this dripped message I am almost ready to RSVP. I want to attend; it looks like fun and many of my friends and customers will be there. Next time: Drip marketing done poorly, down the drain. This entry was posted in Business, Marketing & Communications, Print, Web, Design & Strategy, Social Media and tagged buzz, communication, constant contact, Customers, direct mail, drip marketing, email, Facebook, funnel, LinkedIn, offer, pipeline, prospects, sales, social media. Bookmark the permalink.